This winter will make EVE a bit safer for non-pvp oriented corporations or just new/small corporations in general. The latest dev blog post discusses some important changes to the formal war declaration system coming later this month. The war dec system has been a staple of EVE since the earliest days, but it hasn’t been doing a good enough job of facilitating exciting player conflict and it can be improved significantly. The EVE dev team has embarked on a project to improve the war dec system that will span across multiple releases in the coming months, and the first of these releases will be arriving on December 11th. CCP has been discussing changes to the war declaration system with the CSM for a while now, and have brought these planned changes to the whole EVE community for discussion and feedback at EVE Vegas in October. The key goal of this first round of changes is to give player groups more control over their exposure to formal war declarations. 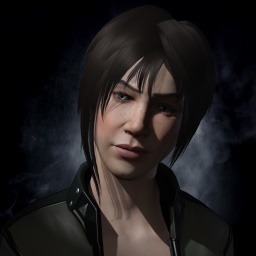 The best EVE experiences involve players making informed choices with benefits and consequences. Having the game’s systems push players into situations where avoiding social interaction in NPC corps or logging off for a week are scenarios that these changes are trying to change. At the moment far too many wars are lacking actual combat for either side, and CCP hopes to start refocusing the war system with an aim to generate the types of wars that provide real value to players. In future iterations beyond December, CCP intends to continue to improve the war declaration system with the long-term goal of encouraging wars that have real risks and rewards and are engaging for all sides. In this first set of changes coming next week, the concept of “war eligibility” will be introduced for corporations and alliances. If a corporation or alliance is war eligible it will be able to declare wars, have wars declared against it, and join existing wars as an ally of the defender. If a corporation or alliance is not war eligible, it will not be able to declare wars or have a war declared against it. The changes described in this post will be arriving in EVE Online’s December release on December 11th. As mentioned earlier this is just the beginning of CCP’s project to rejuvenate the war declaration system and they plan to bring more concepts to the community for discussion and feedback in the near future.